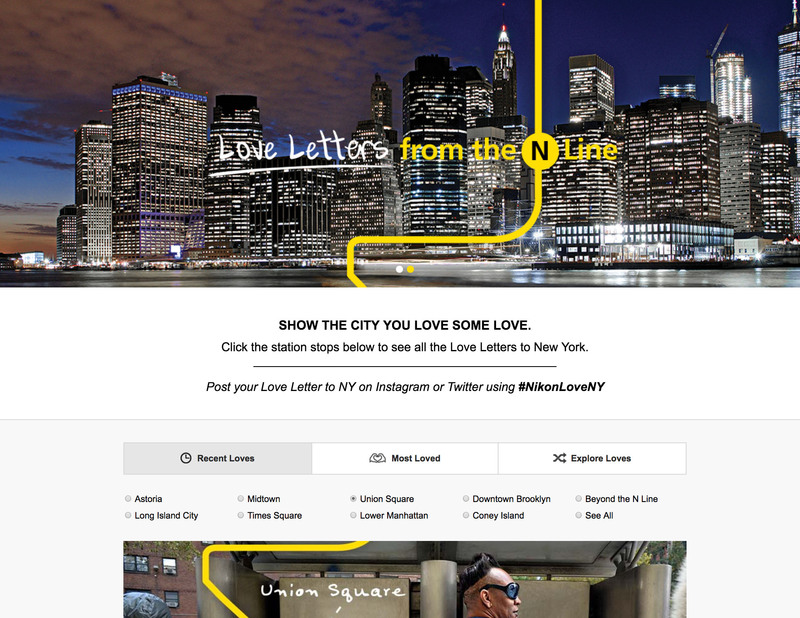 Cramer-Krasselt has created an extensive out-of-home campaign for Nikon called “Love Letters from the N Line” in New York City. The campaign features photos of New York that were taken on Nikon cameras overlaid with short love notes to the city – for example, one features a picture of a food truck gyro with text that reads, “Dear NY, I love your white sauce. I’ll tell you when to stop. Just don’t tell me what it is.” The billboards, posters and other displays are currently running throughout the city’s N subway line and stations. New Yorkers are encouraged to snap their own photos of the city and post them with the hashtag “#NikonLoveNY” for a chance to be featured on the campaign’s dedicated website.